1. 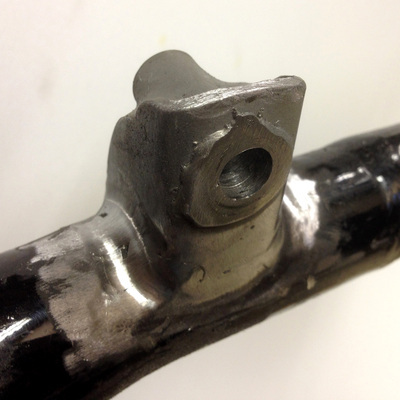 Bike was evidently dropped prior to my ownership and end of shifter shaft was bent. Put cycle on a lift stand and disconnect the battery. Loosen the nut on the chain adjuster and turn the screw CCW all the way moving the chain shoe down to the bottom of the case. 3. Take photos of teardown especially if you do not have a manual. 4. Here are parts lain out in order of take out. 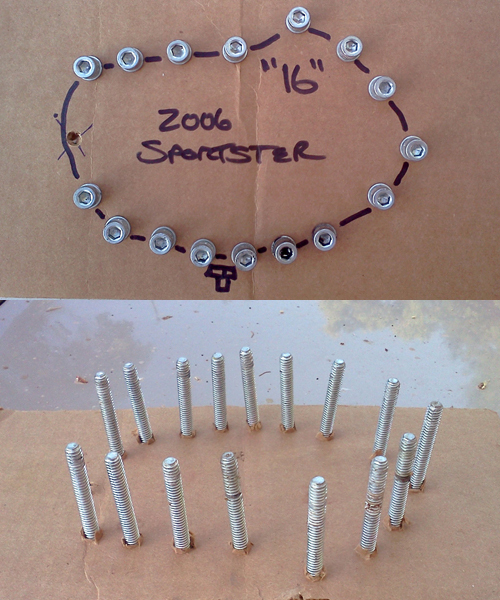 This is real helpful when you forget of the order and direction of each part for reassembly. 5. After Removing the primary cover get a piece of cardboard and screwdriver punch holes in to put your cover screws in. 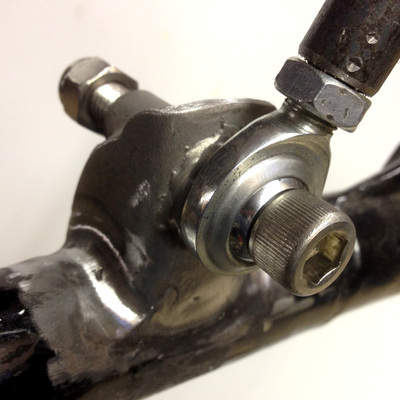 Clean threads of all sealant and reinstall back into same hole. You might want to run a tap lightly into each hole and blow out with a air hose. 6. Notice all of the primary screws are the same length. You can see some of the threads need cleaning. Here is the primary cover after it has been taken off and lain on the floor. You also see that the chain shoe has a lip that faces to the outside of the cover. 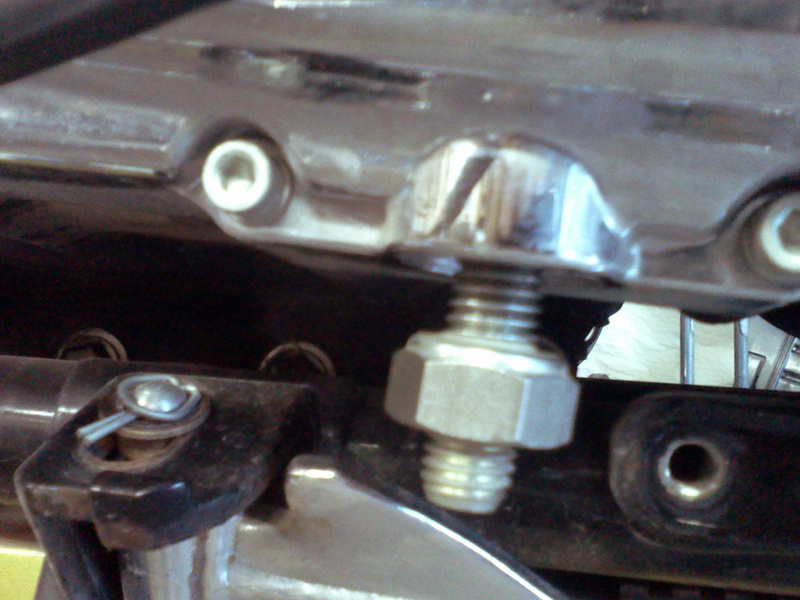 Side note: Could this type of chain adjuster shoe be adapted to a 900 / 1000 Sportster ironhead motor? I'll check this out later. 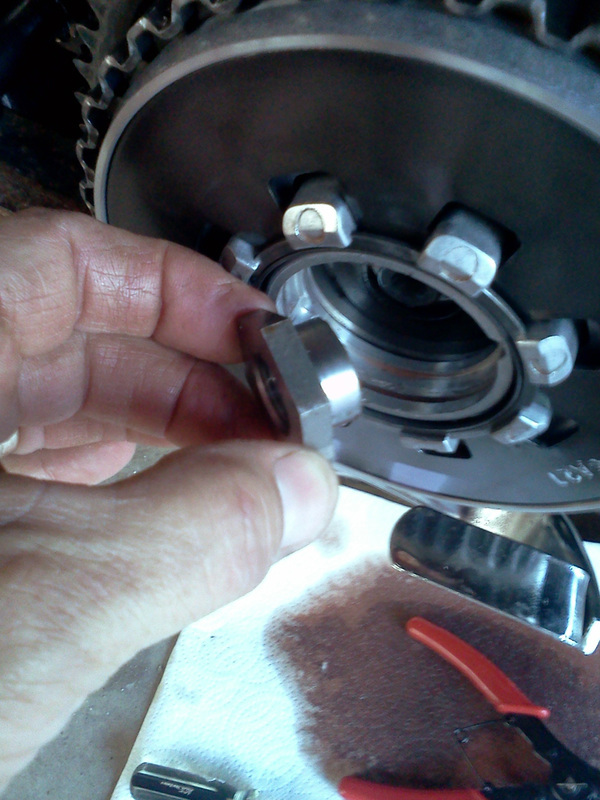 Taking off the the primary sprocket nut (CCW). 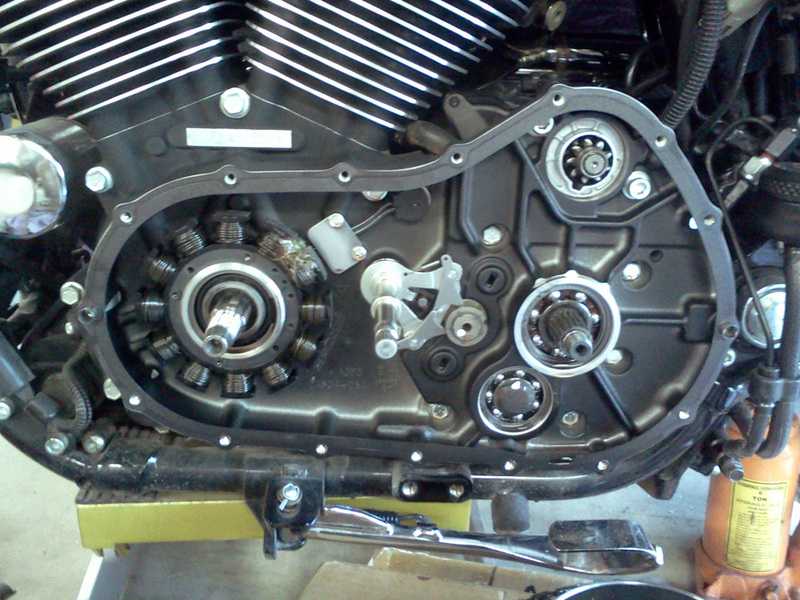 Notice the 1" angle iron cut to length to fit between the sprockets to lock them together for nut removal. 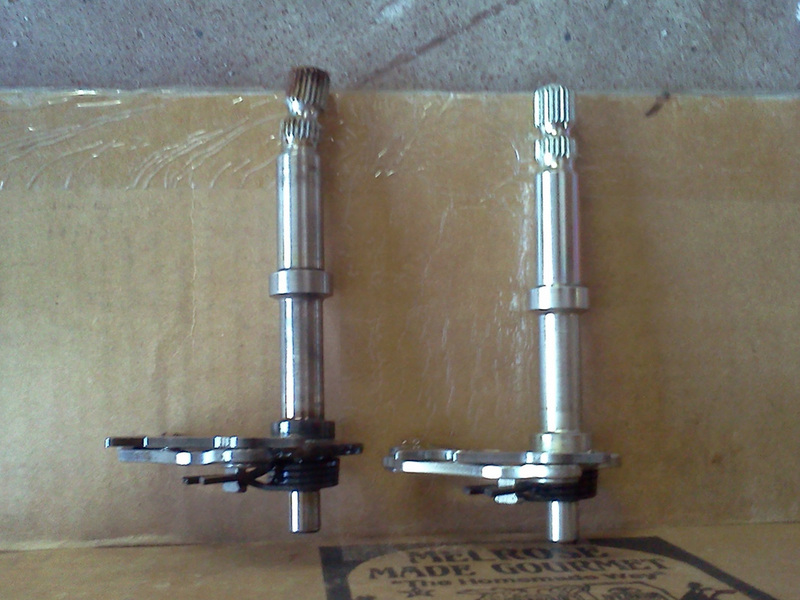 Here is the old / new shift shaft. You can see the bend in the end of the old shaft on the left. 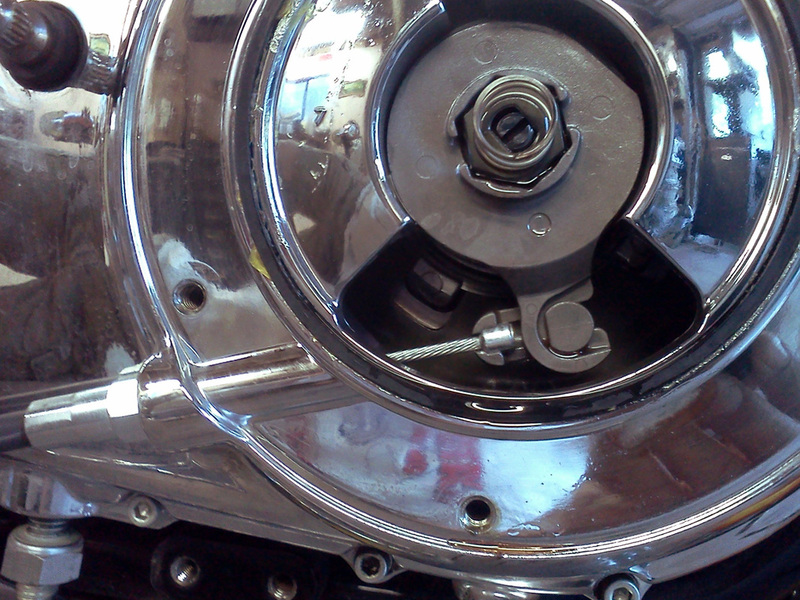 Pulling the nut on the clutch will turn (CW) to loosen. Once both nuts are off grab both the primary and the clutch and pull off. 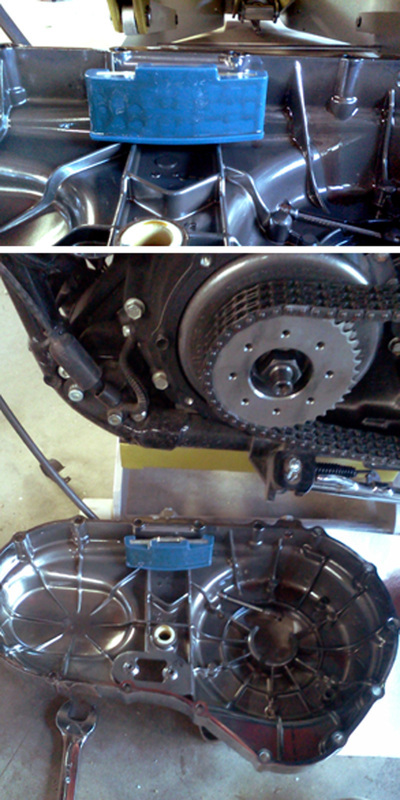 Here is primary side of case with the sprockets removed. 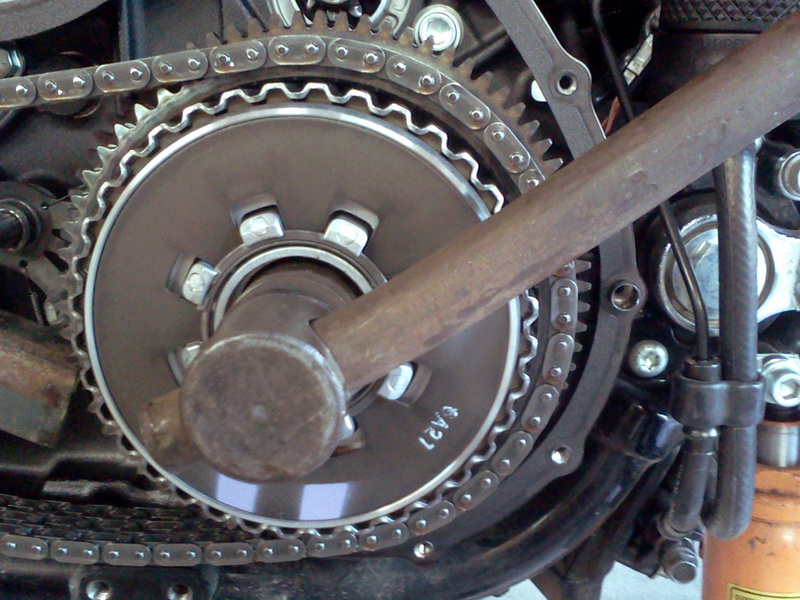 You can see the the shift shaft that needs to be removed. There were a few metal shavings on the drain plug but nothing to be too concerned with. I sure like the inside coating on the case - looks like a black teflon coating. 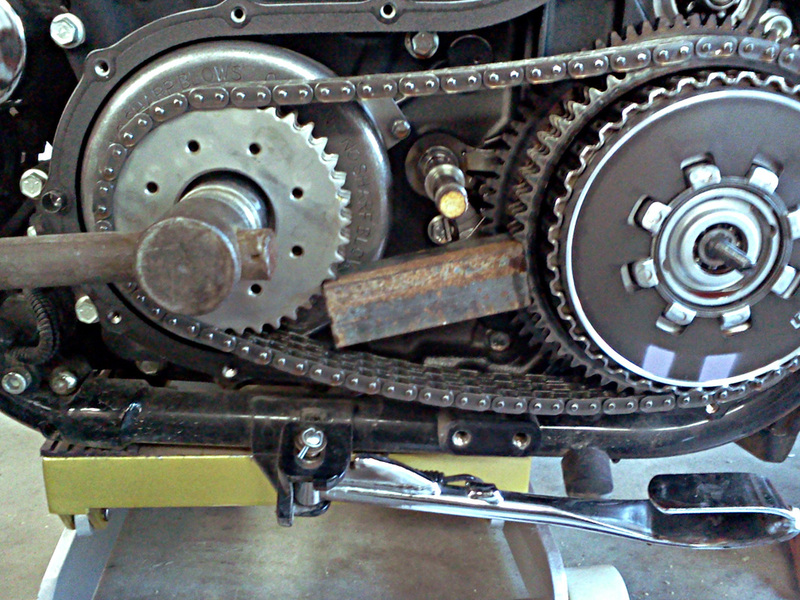 Notice the nut from the front primary sprocket. It has old dried up red locktite in it. Take a wire end, grind it down to a mini knife blade and clean the thread grooves to remove all of the locktite. Horror of horrors! As I put everything together I torqued the clutch nut to the 80 ft. lbs. 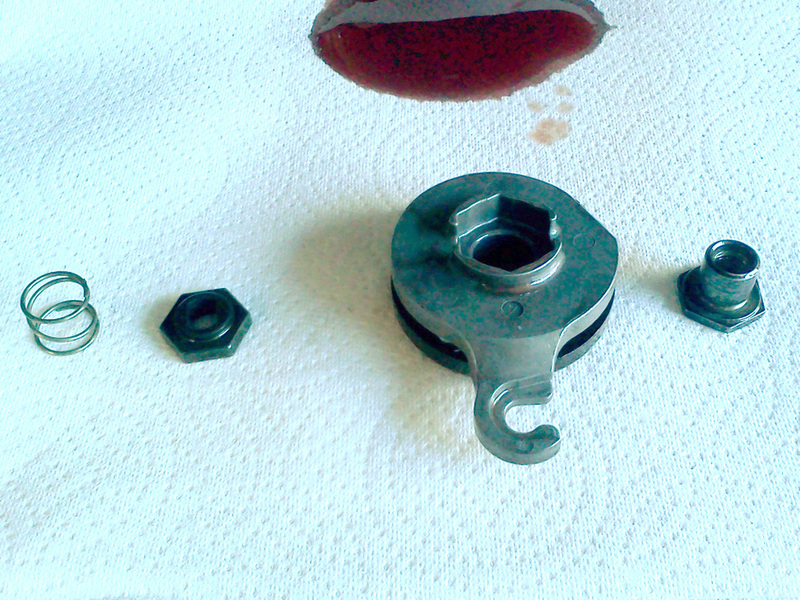 and the nut stripped. Went ahead and removed and checked the threads on the mainshaft. 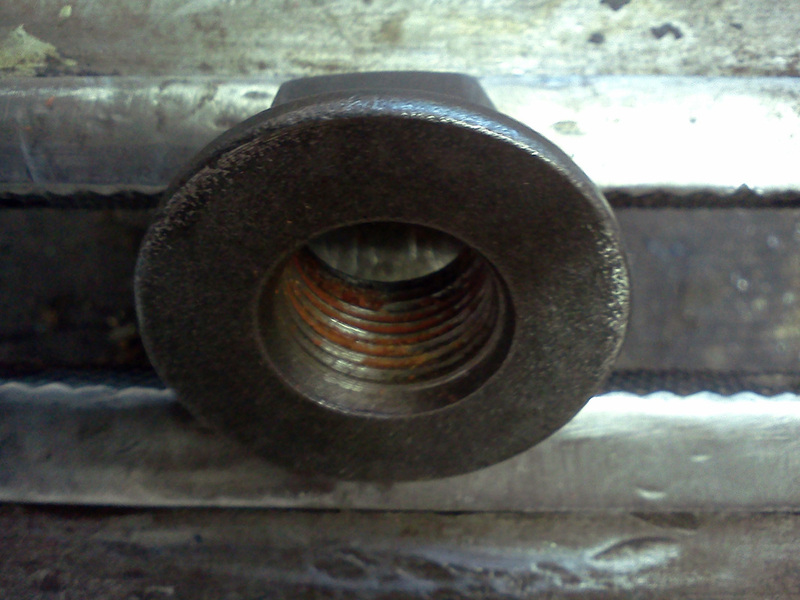 It seems that the mainshaft is much harder than the nut. 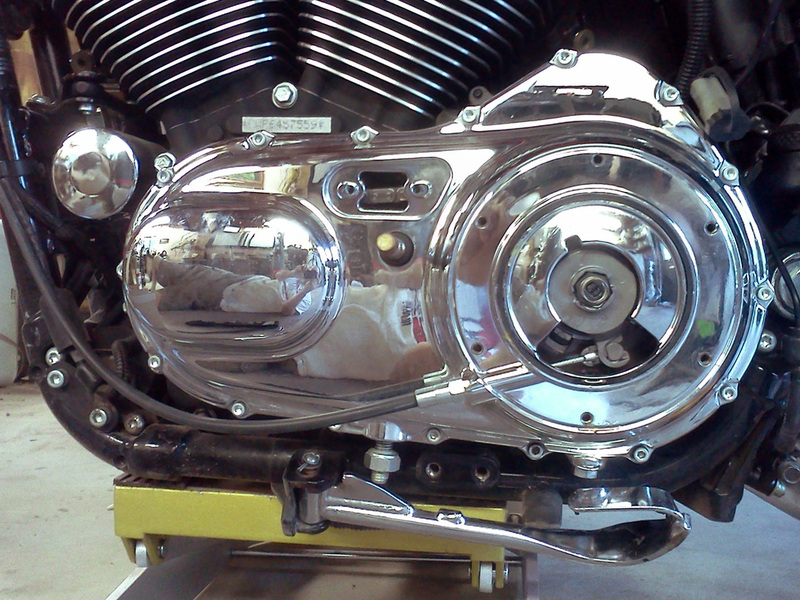 I cleaned the mainshaft threads and went to http://www.ronniesharleydavidson.com/ to order the nut. 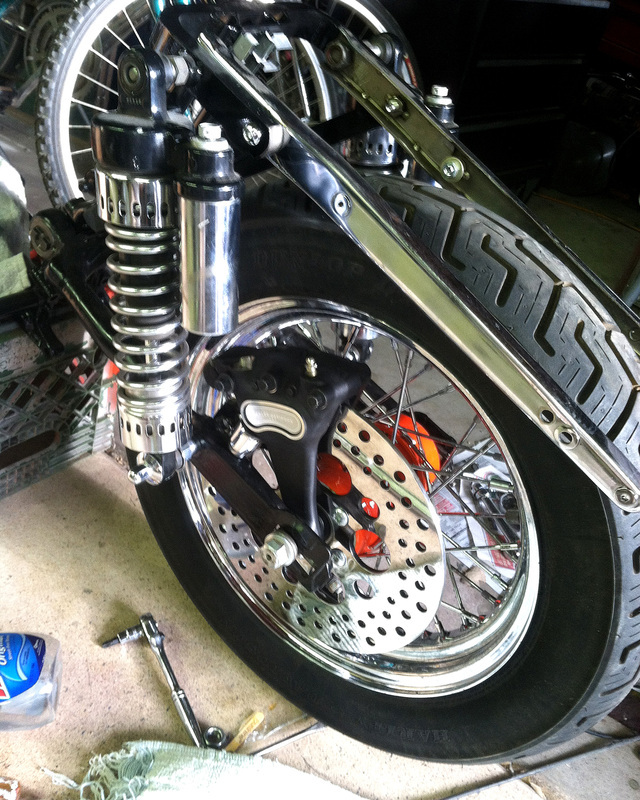 So - when I do put it together I will use a manual torque wrench and go up to 60 - 70 ft lbs and stop. Hopefully this will work - Let you know! While your at it go to the xlforum.net and become a member. All things Sportsters! Everything went together just fine. I did just as described above and everything torqued up fine. Used red locktite. Took it for a ride and all shifting is good to go.